Barley malt flour: This food has a low quantiti of water, total lipid and total sugars but has a high quantity of carbohydrate, magnesium and selenium. Dry rice noodles: Dry rice noodles is high carbohydrate. On the other hand. is low in total lipid, total sugars and calcium. Cooked rice noodles: In food has a low quantity of protein, total lipid and ash. Cooked quinoa: In food has a low quantity of total lipid, total sugars and calcium. Uncooked kamut: This food is low in water, total lipid and sodium but Uncooked kamut has carbohydrate, magnesium and phosphorus in high quantity. Cooked kamut: In this food there are some nutrients that are found in low quantity, for example total lipid, total sugars and calcium. Uncooked spelt: High in carbohydrate, total dietary fiber and magnesium and low in water, sodium and vitamin c.
Cooked spelt: Cooked spelt is low in total lipid, total sugars and calcium. Uncooked teff: This food is low in water, total sugars and sodium but Uncooked teff has carbohydrate, iron and magnesium in high quantity. Cooked teff: This food has a low quantiti of total lipid, total sugars and sodium but has a high quantity of manganese. 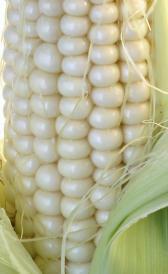 White corn: This food is low in water, total dietary fiber and total sugars but White corn has carbohydrate, magnesium and thiamin in high quantity. Yellow canned hominy: Yellow canned hominy is low in protein, total lipid and total sugars. Unenriched dry spaghetti: High in carbohydrate and selenium and low in water, total lipid and calcium. Unenriched semolina: This food is low in total lipid, total sugars and calcium but Unenriched semolina has carbohydrate and food folate in high quantity. Unenriched dry macaroni: This food has a low quantiti of water, total lipid and calcium but has a high quantity of carbohydrate and selenium. Millet flour: This food has a low quantiti of water, total sugars and calcium but has a high quantity of carbohydrate, magnesium and zinc. 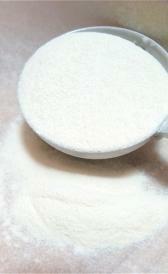 Sorghum flour: High in carbohydrate and magnesium and low in water, total sugars and calcium. Vital wheat gluten: High in protein and selenium and low in water, total lipid and total dietary fiber.